Alpha Finance > Blog > Bad Credit > Can A Bad Credit Be Repaired? Can A Bad Credit Be Repaired? Certain events and life emergencies can affect the way you pay your debts. Missing payments and defaults can ultimately lead to a bad or poor credit rating, which can eventually be devastating. Having bad credit can lead to lenders and financing companies question your credibility, and they cannot do anything about it as it is a part of their job. It can become stressful and hard when lending companies aren’t open to help you. Unfortunately, there is no easy or fast way to repair bad credit. However, there are ways to improve your credit rating and help you get back on track. 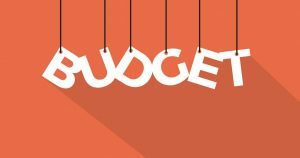 Companies such as MyBudget helps Aussies get back on the right path by designing a free tailored personal budgeting plan. It is personally tailored to fit every individual’s need, which can help them ensure that bills and expenses are always paid on time. When you are back to having a good credit rating, MyBudget can help you demonstrate your ability to repay your debt if you decide to apply for credit in the future. What Does “Bad Credit Score” Mean? Having bad credit score basically means that your standing as a borrower is in bad shape. Before agreeing to lend borrowers some money, lenders usually look at the borrower’s credit history. The borrower’s credibility is easily justified by his or her credit score, which is derived from every previous transaction you have had. You will only have one credit score your whole life, so you better take good care of it. It is possible to turn bad credit around, but you would have to go through a lot to get your good credit rating back. The number ranges from 0 to 1200, with 1200 being the perfect credit score. The higher your rating is, the higher your chance of getting approved. How Do I Get a Good Credit Score? Make sure to pay your bills on time, no matter how small or big the amount is. Never miss repayments. It is best to keep a logbook of your expenses and bills, or better yet, plot it on your phone’s calendar complete with an alarm, so you would never forget paying on time. Alert your bank or lending company if you are going to be late for a payment. It is best to let them know that you cannot pay on time, and assure them that you will pay during a specific date and time. Avoid maxing out your credits. Check your credit report religiously and make sure that there are no mistakes. You can get your report from Credit Simple. If you see any errors, have your credit score repaired immediately. You can check this guide out if you are not sure how to. We hope we were able to answer your question, and we are looking forward to working with you! Alpha Car Finance in Melbourne, Brisbane, Sunshine Coast, Sydney, Dandenong, and Adelaide is dedicated to helping Australians with bad credit. We can get you pre-approved in just 60 seconds, so go ahead and fill this form! We cannot wait to hear from you!